Fun and fund go well together for a school fete. With a variety of entertainment and with a good amount of income, your event will be a blast! However, holding a school fete isn’t all about just fun and sponsorship, it requires the school committee’s commitment, effort, time and wise planning. One of the worst things that will probably let down your event is a net loss. This is the result when expenses will be greater than the event’s income at the end of the celebration. In other words, planning for a successful school fete shouldn’t include hasty planning. Doing so will just put the school’s funds at risk. Besides, you will need to select a good date and a venue, a planning committee, a budget, and sponsors. You must also consider the school clubs and groups to take the task of promoting the event. Most importantly, you will need an amusement operator/contractor. A school fete is never complete without amusement rides. An amusement operator will provide this form of entertainment. Your choice of specific rides will mostly depend on the event’s target attendees. Moreover, it’s not just all about focusing on amusement. The school’s planning committee should secure a written agreement with the commercial contractor. An agreement ensures the quality of the services to be provided, the safety and insurance, and the clear financial arrangement. 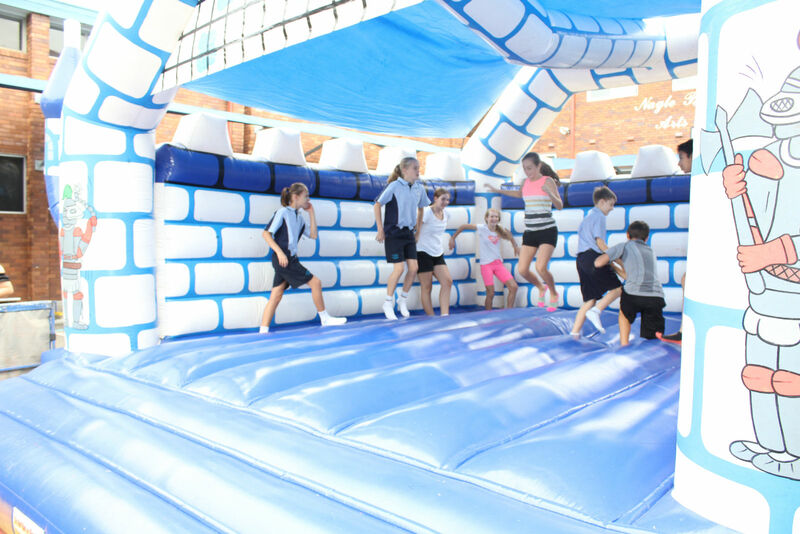 Selecting an amusement operator is the most critical decision in holding a school fete event. Indeed, one of the common mistakes in holding a school fete is in the selection of an operator based on price alone. Always put in mind that the price is only as good as the quality of the services. You must also be careful in choosing a contractor that might bait you with urgent offers. In fact, a good contractor will not pressure a customer to hurriedly avail their services. You need to make sure that the amount you’ll pay is justifiable by the quality of the services you’ll receive. By contracting with a reputable firm, you can reduce the risk of injuries and hassles that might occur during the event. You can book amusement rides on either a Flat-Rate Hire or under an 80/20 Profit-Share Contract. When a school committee contracts a Flat-Rate Hire, the school pays a fixed fee for each amusement hired. Then, it retains all income from the sale of ride tickets and passes on the day. The committee handles all advertising and ticket sales, with their profit being Total Sales less Total Ride Hire. With a Flat Rate, there is a potential for the school to earn well. This profitability depends on the weather condition and the number of attendees. However, the school will pay the total fee regardless of whether the school will lose money or will earn well. We find best practice for School Fete ticket sales is to offer a discounted wristband if they purchase it before the day. This locks in a vast majority before the day so they will attend and also provides the committee with cashflow prior to the day. Rain hail or shine those who have purchased wristbands before the day will turn up no matter what. On the day you would then sell the ride tickets at a premium. Alternately, under an 80/20 Profit-Share arrangement, ride operators provide set up and supervise their attractions free of charge. At the completion of the event, the amusement operator pays the event organizer (school) 20% of total ride income. This will all come from the sale of tickets and/or ride passes. On an 80/20 Commission, the hired operator gets 80% of the total income. This is a good option if the organizing committee wants to avoid the risk by leaving the financial obligation to the amusement provider. With this, the amusement operator accepts all risks as to weather, attendance, and income. Which one is better? There are arguments either way but if you have a committed team you will generally find the falt rate hire is the better option. Bubbling With Energy Entertainment can provide great packages which can includes fun and challenges for all ages. 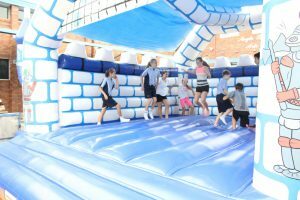 From large jumping castles, inflatable obstacle courses, stunt jumps, mechanical bulls, water slides and dry slides, dodgem cars, tea cup and saucer rides and may more amusements that will fit into your school fete requirements. The committee might even consider one of our Ninja Warrior or Spartan packages which will certainly attract the crowds. Remember the saying “if you build it they will come”. We can package an exciting package of amusements which will attract patrons of all ages. Don’t forget the Fairy Floss, Popcorn and Sno Cones for your school fete or event as well. Bubbling With Energy Entertainment can provide these machines and your school can appoint volunteers to operate each machine. Incredible profit margins per serve. Talk to one of our friendly staff for more details. In conclusion, the decision on whether to choose a Flat-Rate Hire or an 80/20 Profit-Share will depend on two main things. These include the budget and the calculated risks that the planning committee will consider. In a much brighter side, the school’s budget for the event can come from sponsors. That’s a better way to kick-start the fun fundraising activity.